A new study reveals that soon all marine creatures will suffer due to dangerous CO2 levels. The increase in carbon dioxide emissions is likely to jeopardize numerous marine ecosystems, disrupting marine life habitats. In the future, the high levels of carbon dioxide produced by the modern society will make the oceans more acidic. The new study lasted for eight years, and over 250 scientists contributed to its development. The result of the study indicates that infant sea creatures will suffer the most. Hence, the amount of baby cod which develop into adults might decrease to a quarter of the number we register today. This study derives from the BIOACID project that is led by scientists from Germany. The authors of The Biological Impacts of Ocean Acidification report indicate that some marine creature may benefit from some changes brought by the increase of CO2 levels. Nevertheless, they cannot tell for sure whether there will still appear some dangerous effects or not. Some of them may be indirectly affected by the entire food chain. Furthermore, the new research demonstrates that global warming will trigger even more severe changes in the ocean waters, like acidification. Other factors that will fuel the acidification process are agricultural fertilizers, over-fishing, coastal development, and pollution. Ocean acidification occurs when carbon dioxide from fossil fuels dissipates in seawater. When dissolving, it generates carbonic acid. Hence, this will lower the pH of the water. When the use of fossil fuels flourished during the Industrial Revolution, the average pH of worldwide surface waters decreased from 8.2 to 8.1. Therefore, the increase in acidity measures 26%. Prof Ulf Riebesell from the GEOMAR Helmholtz Centre for Ocean Research in Kiel is the lead author of the new study. He indicates that acidification damages marine life to various extents. However, even if the impact is different, all groups of marine creatures suffer because of acidification. For instance, cold-water corals are less sensitive than warm-water corals just like snails and clams are more sensitive compared to crustaceans. The key idea that they have discovered is that acidification generally affects the early life stages rather than the adult creatures. Riebesell explains that even if acidification does not directly affect a certain species, this does not mean that changes in the food chain cannot affect it neither. If other marine species from the same food chain as the unaffected one get affected, then all the creatures will be affected at some point. Hence, acidification triggers disruptions in marine ecosystems. At some point, these high levels of CO2 will also affect the entire ocean. This means that it will also damage the service the ocean offers to us. Starting with 2009, scientists in the BIOACID program analyzed how acidification affects marine animals during various stages of life. Furthermore, they have also looked at the impact these reactions have on the whole food chain. The third thing they have examined consisted in whether they could overcome those challenges by triggering evolutionary adaptation. Scientists conducted part of the research in the lab and some other parts of the Baltic Sea, the Arctic, the North Sea and in Papua New Guinea. They synthesized more than 350 publications which looked at the effects of ocean acidification. During the summit in November, scientists will offer a brochure that summarizes the results of the study to climate negotiators at the annual meeting. 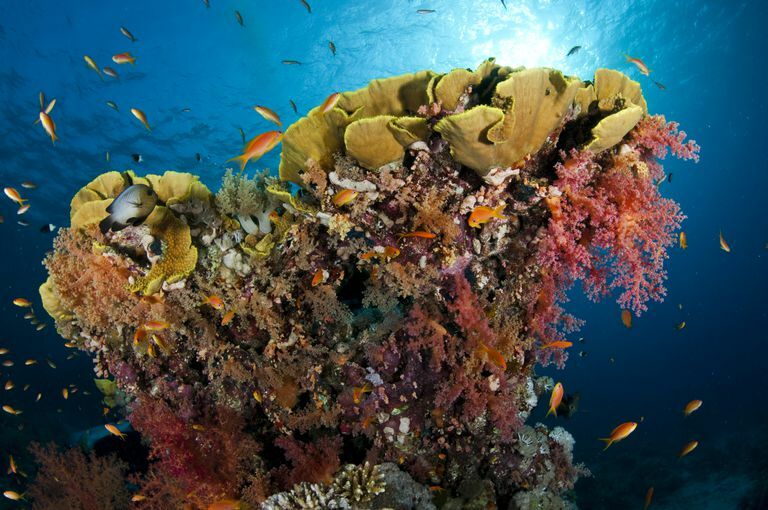 Acidification will harm several marine habitats, triggering a change in the food chain. The results of the study suggest that about half of the marine species had negative reactions when the levels of CO2 in the water have moderately increased. This could only mean that if the process of climate change continues to become more severe, many marine species will be on the verge of extinction. Increased seawater CO2 levels specifically affected species like sea butterflies, sea urchins, starfish, blue mussels, and cod in the Atlantic Ocean, in their early stages of life. Nevertheless, a new experiment analyzing barnacles shows that they are not all sensitive when it comes to acidification. However, they may still get affected in case other species from the same food chain are harmed. Furthermore, the study also revealed that some marine plants such as algae that use carbon to develop photosynthesis might benefit from this change in ocean CO2 levels. Dr. Carol Turley is an ocean acidification expert from Plymouth Marine Labs in the UK. She stated that the BIOACID research is extremely important. Dr. Turley argues that the study brought a massive contribution and important insights regarding the impacts of acidification. It can have a great effect on a broad variety of marine creatures, starting from fish to microbes. The BIOACID research also explores how the combination of ocean warming together with other external stressors might also impair the humans and their activities. Acidification might play a significant role in the development of the ecosystem, affecting fishing or other industries. Nevertheless, she also suggests that the lead authors of the study tried to raise awareness regarding the importance of the ocean and all its ecosystems which are so valuable for the environment. During the UN meeting in November, these ideas will be debated by members of the meeting. The conference will take place in Germany, but Fiji will chair it. Fiji intends to signal delegates to specifically discuss the dangerous CO2 levels that do not seize to raise. Peter Thomson is the Fiji Ambassador and the UN Secretary General’s Special Envoy for the Ocean. He highlighted the importance of discussing the negative effects of human-made global warming on the global ocean. He said that everyone knows about climate change and almost everyone knows that this is real, but people need to learn more about ocean change. The impact of plastic pollution dead zone, warming and acidification severely affect the oceans of the world. All the negative effects of dangerous CO2 levels can lead to the disappearance of several marine species. Water pollution and acidification are only some of the global warming effects that harm the marine environment, disrupting marine ecosystems and food chains. Acidification might influence a lot of changes in many species while others will be unable to adapt and they will die. The new research will be one of the topics of discussion during the UN meeting next month in Germany.